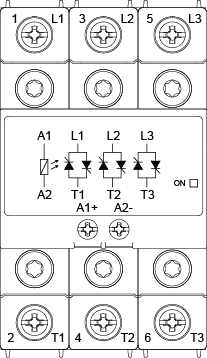 E Shop : Power : Solid State Contactors! The NEXT greatest thing! 2 Pole or 3 Pole. 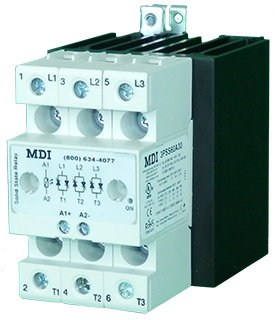 This product is intended to replace mechanical contactors, perfect for fast switching larger loads. This product width is 2.84” (72 mm). With this 3-pole switch ON occurs at the voltage zero cross and switch OFF occurs at the current zero cross. Apart from resistive and slightly inductive loads, the SSR is certified for motor switching with associated motor ratings. Varistors are integrated for output overvoltage protection. A green LED gives indication of control voltage presence. Fan operation is controlled for the versions which have an integrated fan.